I have a confession......I LOATHE leftovers. This becomes problematic during Thanksgiving when the family wants to live off of them. This is why I am always creating dishes out of Thanksgiving Leftovers. 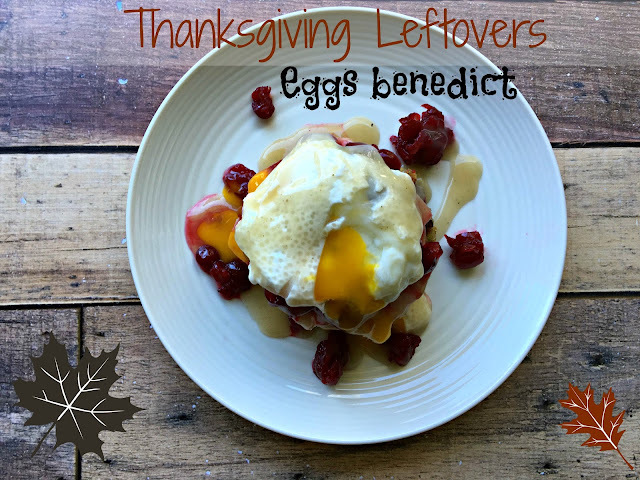 Last year, I came across a recipe for Thanksgiving Leftovers Eggs Benedict and had to try it out. It was a hit. This recipe using Thanksgiving Leftovers is simple to make and is the perfect breakfast for Black Friday. Plus if you prepare the stuffing cakes the night before after your big meal, you will have hardly any prep in the kitchen Friday morning, leaving more time to shop til you drop. The best part about this dish is you can use pretty much any side dish as a topping. I decided to go with leftover turkey, stuffing, cranberry sauce and gravy - topped with a poached Eggland's Best Egg. Mix together stuffing and 2 eggs until well combined. Make 4 cakes, about 1" thick and 3" wide. Carefully coat each cake with breadcrumbs. Heat oil and cook stuffing cakes one at a time until deep golden brown, 2 minutes each side. This post is sponsored by FitFluential on behalf of Eggland's Best. Rock n Roll New Orleans Discount Code!